I passed a scruffy truck the other day and as I passed I saw a notice on the back, which said: ‘This truck is equipped with visual recording technology’, presumably to ward off would be thieves or stowaways. 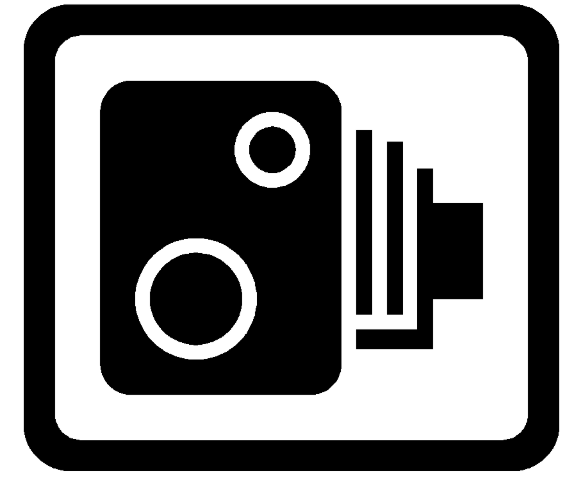 Next to the words was a symbol of a camera, and it was exactly the same type of image you see on signs all over Irish roads, warning you against speeding by the presence of speed cameras. Except there aren’t any speed cameras generally, except mobile ones housed in a vehicle. So the sign has come to me to be considered a fake symbol. Whenever I see the speed camera sign my reaction is, ‘oh, no speed cameras here, but probably a well known speedy stretch – or potentially dangerous stretch, or both – is coming up’. And so it was with this truck. My first thought was, ‘no it’s not equipped with that technology’. It’s like the visual equivalent of fake news, or at least reverse news. A sports club announces it’s fully behind their beleaguered manager, they’re on the way out. Call it middle aged suspicion, but since the advent of April Fools’ Day in my childhood years I’ve become conditioned to look out for fake news, and fake symbols are no different. Business is awash with shorthand. Good shorthand uses TLAs or jargon that everyone understands to save time and effort. Bad shorthand leaves people unproductive, confused and alienated. I’ve always used ‘mktg’ as a shorthand for marketing. So much so that I use it in the domain name for my business website, M4 Marketing. It’s a nice short domain. The only problem I have is that I have to spell out the domain name over the phone, which is not ideal. I think that the mktg shorthand is good shorthand, no? It’s like ‘mgmt’ for management. Pretty much everyone knows that shorthand and uses it freely. I was renewing my driving license the other day, which necessitates a personal visit to the driving license centre to bring paperwork and get one’s photo done. The chap that served me was a trainee, but he wasn’t a young chap, bright-eyed or bushy-tailed. He handed me back my old driving license, telling me I ‘could keep it for prosperity’. I mention his middle age because he must have heard that phrase, or something similar, a good number of times in his life. He wasn’t recycling it having heard it for the first time. I let it go, after all, he meant ‘posterity’, didn’t he? I guess you could argue he meant prosperity, but maybe he either thought the phrase was prosperity or that it should be. One could claim that the old license could indeed influence my prosperity, but I’m not buying it, though I did buy the license, for a darn higher amount than I was expecting. This is a malapropism I think, if it was for the former reason, where you mistake a word for another word, sometimes with humorous consequences. 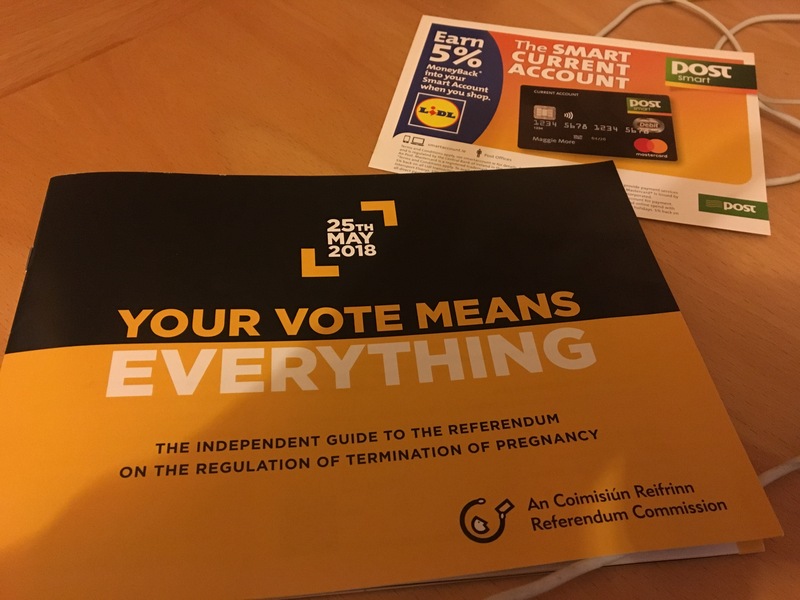 Our household, along with a million or two other households, recently received a document on the upcoming referendum in Ireland concerning the regulation of the termination of pregnancy, more commonly known as the 8th amendment to the constitution. The document is billed as an independent guide, produced by the government to explain citizens’ rights and options. It is a superbly written document, with clear, plain languages – English and Irish starting at each end of the booklet and joining up in the centre pages with an illustration of how to complete the ballot paper – and very well laid out. This is no mean achievement, to summarise impartially what is involved and how the voting process works in what continues to be a most emotive, divisive and political issue. What I found most incongruous was this. The leaflet came with an insert advertising a credit card service from the state-owned postal network ‘An Post’, supported by a well-known supermarket chain. I don’t know what’s going on here. Maybe the government decided to defray the cost of producing and distributing the document by getting one of the state bodies to part-fund it and do some fancy cross-charging. Perhaps they felt this was the perfect opportunity to market a service within a document that was benefitting from near total and national distribution. Either way, it felt inappropriate to me. In my view it detracts from and denigrates the importance of the guide, regardless of the financial benefit. It could be just me though.. I was making some calls to potential customers in the UK the other day, and I made a tactical blunder. I hadn’t realised that the UK schools were not back from Easter break the same week as the Ireland schools. A lot of the people I was calling were parents taking time off with their families, and not ready to take my call. An expression I heard a lot was that someone was ‘on annual leave.’ It’s quite an old-fashioned term to my mind. You hear it a lot in the UK but not that much in Ireland. I would just say that I was on holiday, or that I was taking a day’s holiday, not that I was taking a day’s annual leave. Leave in this sense is quite an old word and it just means permission not to be at working, a leave of absence from the workplace. It got me thinking that there are many uses of annual ‘leave’, not just a holiday away, nor a ‘staycation’. Even though I may be at home getting a few projects done, or taking my child to an appointment, or even attending a funeral, I would still call that a holiday, since it’s a holiday from work, or at least regular paid work. Of course, another important distinction is that annual leave is paid time away from work for the employee. For the self-employed of course, time away from work is unpaid time.